Lea Player is a member of the law firm of Morris & Player, PLLC, a plaintiffs' professional malpractice and catastrophic personal injury practice in Louisville, KY. Lea's drive to seek justice for the disadvantaged caused her to seek her first legal job at the Jefferson County Public Defenders' Office while she was still in law school. That same desire to help people has persisted for the last 25 years. It fuels the law practice of Morris & Player. After graduating U of L law school in 1992, Lea developed her litigation skills defending mass tort and complex litigation cases such as the civil litigation that arose out of the Oklahoma City bombing, thousands of breast implant lawsuits and similar products liability cases. 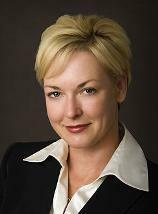 When she began representing injured clients over fifteen years ago, Lea found that the litigation skills she had developed in the complex litigation arena made her a formidable advocate in personal injury cases, from medical malpractice to workplace injuries to catastrophic truck and auto accidents. In 2007, she and Doug Morris formed the firm of Morris & Player PLLC where together they continue to represent plaintiffs in complex cases, cases involving catastrophic injuries and professional malpractice.